The Queers east coast tour with The Dickies begins tomorrow! 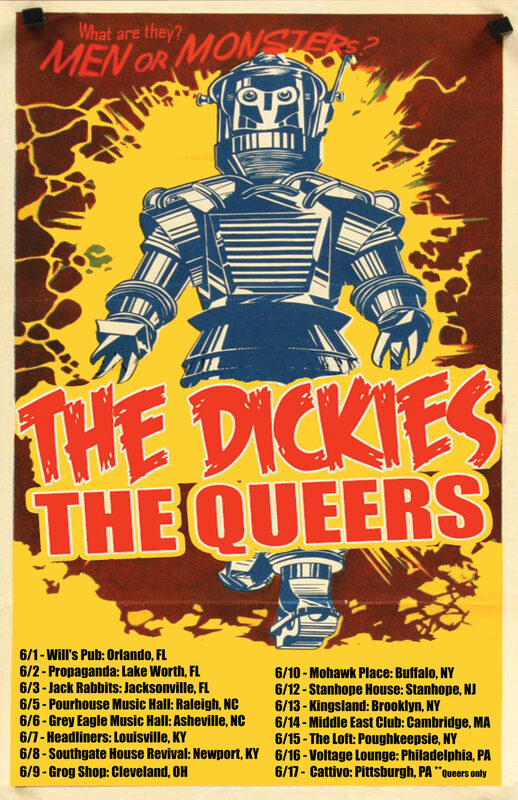 Don’t miss The Queers east coast tour with The Dickies, who are celebrating their 40th anniversary. Pick up a copy of “Too Dumb To Quit” at the merch table. These are some of the last copies available!